I recently read an article on nymag.com; ‘To Make the Weekend Last Longer, Try Something New‘ which inspired me to write this article; ‘Taking a Healthy Break’. Majority of us wait for the weekend to come so we can slow down, relax, spend time with family and friends and so on – BUT how about we actually try to find our ‘weekend joys’ daily? Bring home a pot of fresh thyme, place it on the kitchen window sill and take in the fragrance of it! Go for a afternoon walk in the woods, notice the gorgeous nature and hear the birds sing! And that is exactly what I did that day; Brought home a pot of fresh thyme and went for a afternoon walk in the woods. 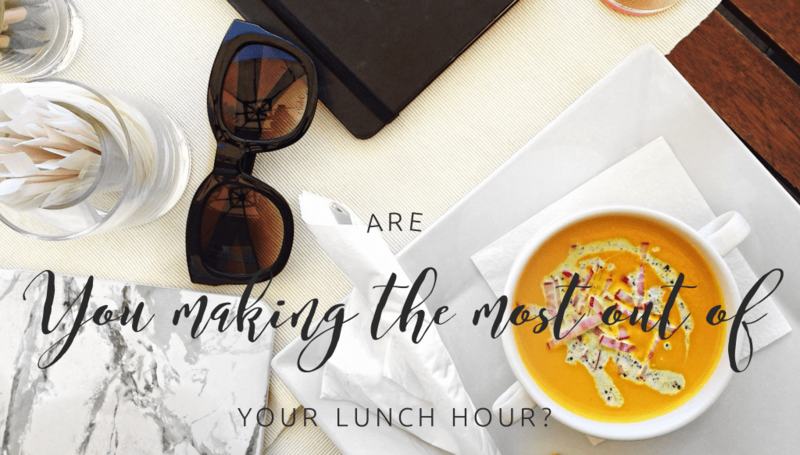 You see, making the most of your lunch hour doesn’t have to be something extravagant or time consuming – simple things bring joy – it’s all about being mindful.